Many grocery chains use your store loyalty card to track what you buy; then, they send you coupons for those products. If meat is something you buy on a regular basis, you'll probably get meat coupons in your snail mail or email, so make sure you scan your card every time you shop. Be on the lookout for meat coupons on non-meat products. You'll often find coupons that peel off hang tags and tear pads on or nearby products that are likely to be consumed with meat. Think of beer, wine, seasonings, and other items as possible coupon holders. 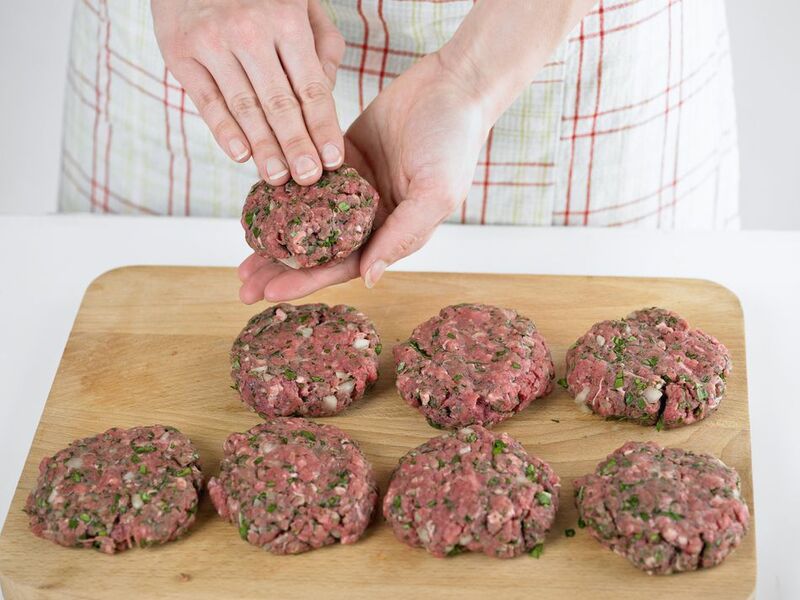 Laura's Lean Beef: Sign up for their newsletter to receive a coupon. Tyson: Check their homepage for coupons. Johnsonville: Join the Johnsonville Enthusiasts Club to get special members-only coupons. Also, check out Coupons.com and Target's websites, coupons.target.com and cartwheel.target.com, which are excellent sources for meat coupons. Target is also known to put $3-off coupons on packages of meat that are getting close to their sell-by date. Combine both deals to max out your savings. If you can figure out what day your local Target marks down meat, you'll get first dibs on all the goodies. Ask an associate in the meat department, and they'll probably tell you. If you're short on time, Coupon Cabin compiles meat coupons from around the web. They may not catch everything, but it's an excellent one-stop shop if you're don't have time to hunt down coupons yourself. Many grocery stores attach quick-sale peel-off coupons to packages of meat that are getting close to their sell-by date. Scour the meat department for markdowns, and those little coupons could save you 50 percent or more. Tempted to stock up? Just pop your meet in the freezer, and it'll stay fresh—and free of freezer burn—until you're ready to use it. You'll find coupons for lunch meat, bacon, sausage, and other processed meats in most Sunday newspaper coupon inserts, but if it's coupons for fresh meat that you're after, start watching the inserts a few weeks before big meat-eating holidays: Thanksgiving, Christmas, Fourth of July, and Memorial Day. If you can't find coupons for your favorite meat brands, shoot them an email or call to ask for some. Companies often have high-value coupons (sometimes even free product coupons) that they set aside for this purpose. Look for contact information on their websites and try your luck.